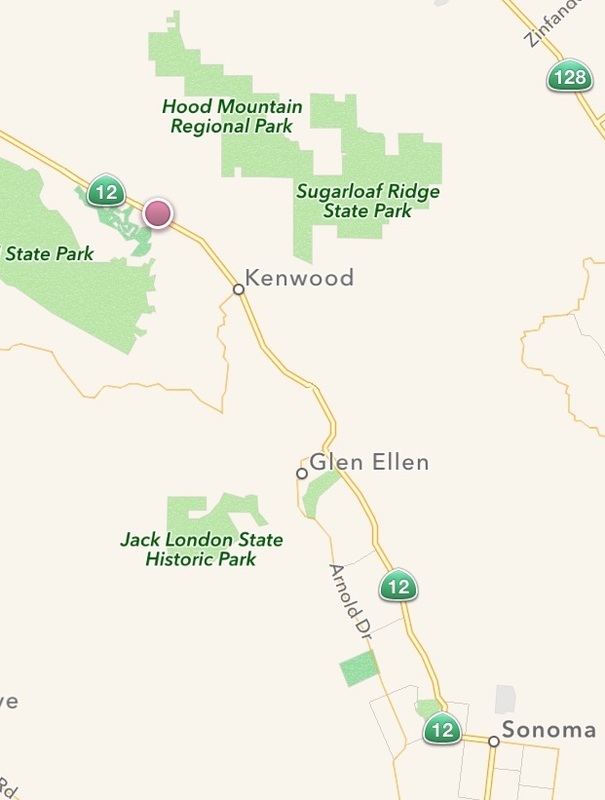 Sonoma Rosso is the perfect location for your California wine country vacation. For a unique and authentic wine and food tour experience in Sonoma, please consider our friends at Rosso Host Company. A local, experienced host will drive you in a luxurious Jaguar or Land Rover (or your rental car) to a curated range of cult and boutique wineries and smaller, family-owned wineries that are certain to delight you. We have found them a better value than bus tours or private limo services and their reviews are consistently excellent. Call Gustav at 707-548-9901 to make a reservation and tell him we sent you. 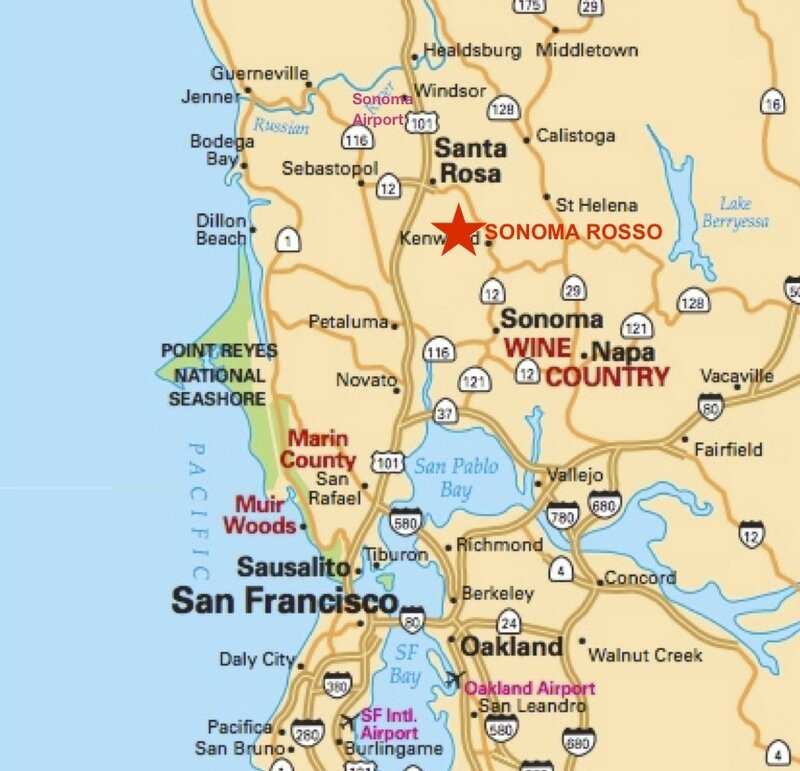 Sonoma Rosso is located in the Sonoma Valley, which is about approximately a one hour drive north of San Francisco's Golden Gate Bridge. 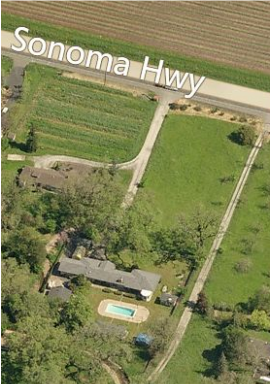 We are 13 miles north of Sonoma Plaza and 5 miles in either direction to Calistoga Road and Trinity Road which both take you over the hill to the Napa Valley. World-class Sonoma Valley wineries and tasting rooms featuring special events, such as gourmet food tastings, live music, and outdoor films, along with picnic areas and, of, course great wines. A highlight for many of our guests is the Wine and Food Pairing at St. Francis Winery. A five-course "lunch" is offered at 11 am, 1 pm and 3 pm, Thursdays through Sundays. Reservations are accepted months in advance, via a link on their website. Highly recommended.